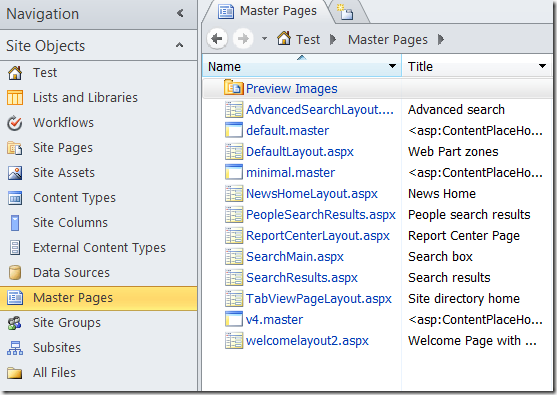 In my last post I listed the functionality in the enterprise site collection and site features. In this post I will break down what functionality is part of the standard site collection and site features. If you have a SharePoint Server 2010 environment you will be able to use the SharePoint Server Standard Site Collection features. 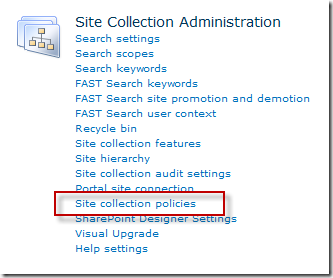 This is a collection of site collection scoped features that contain standard SharePoint functionality. The features listed below are mostly hidden features that get activated when you activate the SharePoint Server Standard Site Collection features feature. All of these features are part of the SharePoint Server Enterprise Site Collection features as well. The following web parts will be added to the web part gallery. Be aware that the fact that this feature will add these web parts doesn’t mean that you can use these web parts on every page you like. For instance, some of them only work properly on the My Site. 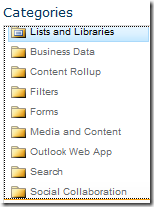 This feature adds the Business Data, Filters, Outlook Web App and Search categories to the categories that web parts can be selected from when adding a web part to a page. 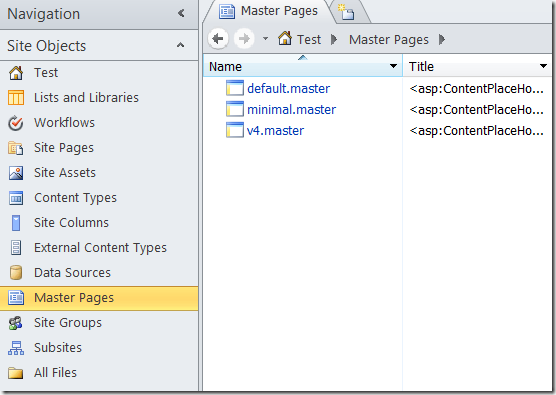 This feature adds the Rule content type and the Routing Rule fields to the site collection. The content type and fields are used by the content organizer to create the rules to route the content. 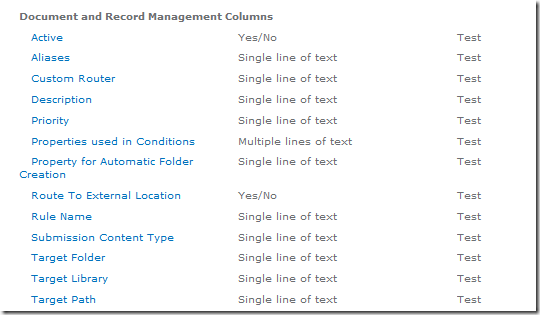 The category the Routing Rule fields are shown under is the Document and Record Management Columns category. This is very confusing as you shouldn’t use these fields in content types you create yourself, they are created just for use in the content organizer rules. For more information on this check out my post on Document and Records Management site column behavior in SharePoint 2010. 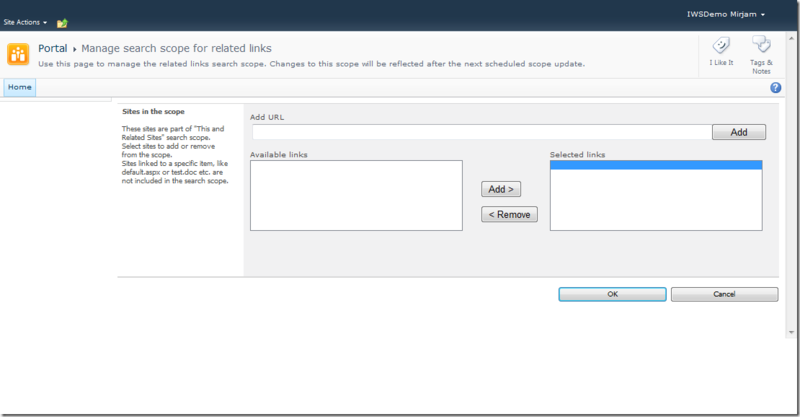 Before you can use the content organizer you will also have to activate the site scoped feature Content Organizer. When this feature gets activated information management policies become available for the use in the site collection. The Site collection policies link will show up on the site settings page and the Information management policy settings will show up in list and library settings. With the SharePoint Server 2010 environment and Standard or Enterprise CALs you will can use the SharePoint Server Standard Site features. These features are site scoped features that contain standard SharePoint functionality. 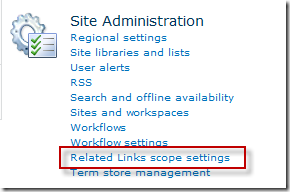 The SharePoint Server Standard Site features contain the related links scope settings page feature and the slide library feature. Both of these features are also part of the SharePoint Server Enterprise features. This feature enables the use of slide libraries on the site. So this is it, a list of all features that are being activated when the Standard site collection and site features are activated and the functionality that becomes available when the features are activated. As you have seen all of the features in the SharePoint Server Standard Site Collection and Site features are also part of the SharePoint Server Enterprise Site Collection and Site features. This means that activating the SharePoint Server Standard features after the SharePoint Server Enterprise features have already been activated won’t activate any other features and won’t add any new functionality to a site or site collection.